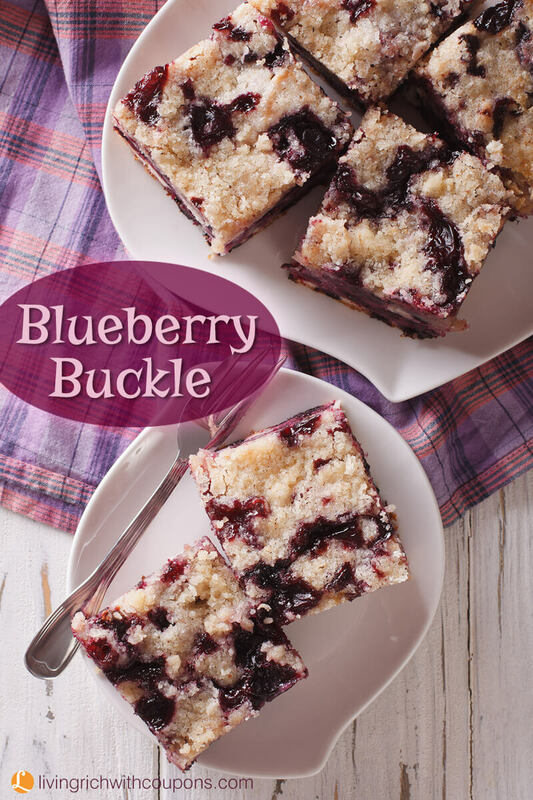 Blueberry Buckle is a recipe that has been around a long time. I really don’t know why it’s called a “buckle”. 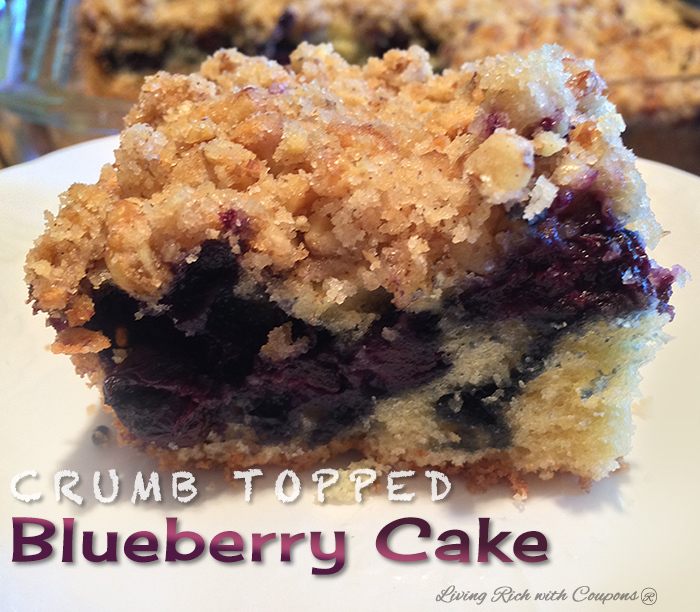 It’s basically a crumb-topped coffeecake or cake that can be served for breakfast or as a dessert. 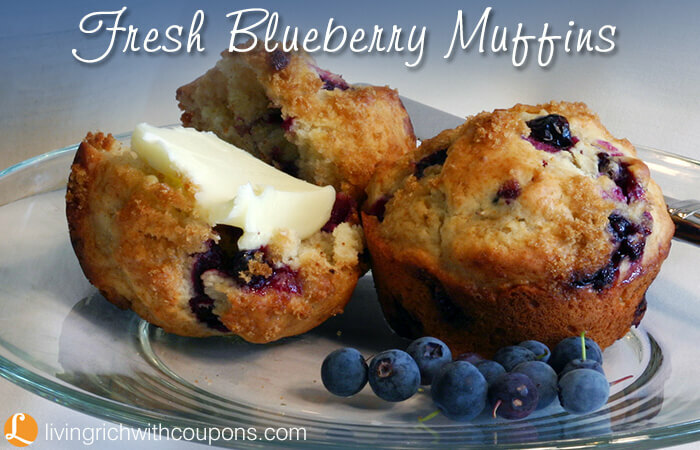 With the fresh blueberries coming out now, this recipe is a hit since it’s loaded with blueberries. 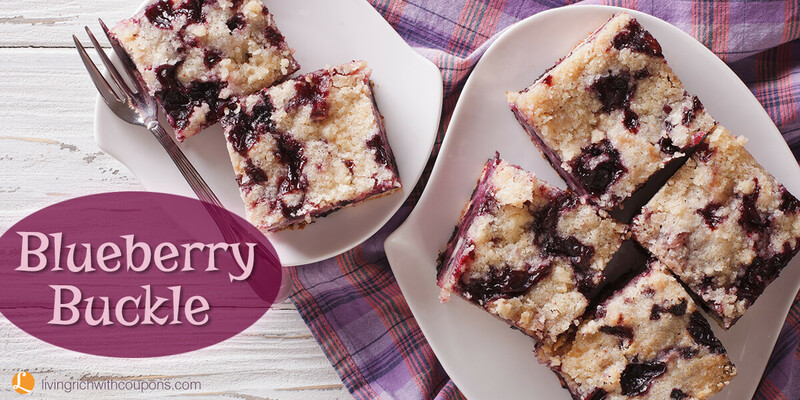 We’ve also posted a few other blueberry recipes, I’ve made them all and it’s tough to pick a favorite. Well I don’t know about you but I’m pretty hungry right now! 😉 But, last but not least, here is today’s recipe. 1. Grease the bottom and sides of a 9x9x2 inch or 8x8x2 inch baking pan, set aside. 2. With mixer, beat shortening and sugar until light and fluffy. Add egg, mix well. 3. In separate bowl combine flour, baking powder and salt. Add dry ingredients and milk alternately to the shortening/sugar/egg mixture. Beat until smooth. Spoon batter into prepared pan. 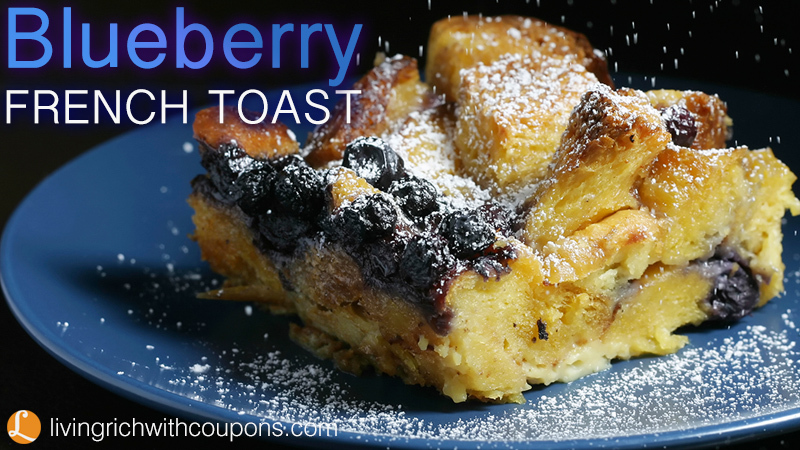 Top with blueberries. 4. Combine topping ingredients and mix until it mixture looks like coarse crumbs. Sprinkle over blueberries. 5. Bake at 375 for 45 to 50 minutes or until cake tester comes out clean. 2. 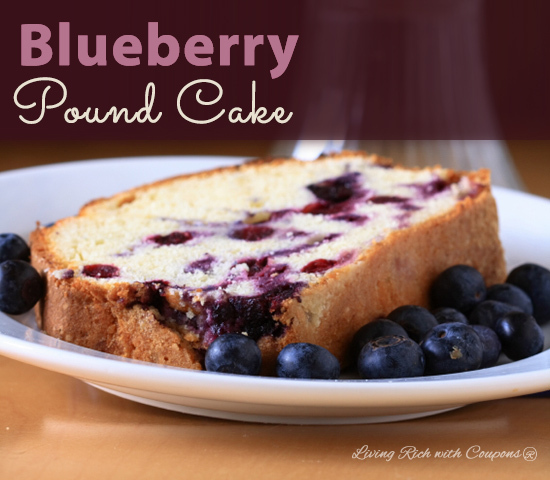 With mixer beat shortening and sugar until light and fluffy. Add egg, mix well. 4. Combine topping ingredients mix until it mixture looks like coarse crumbs. 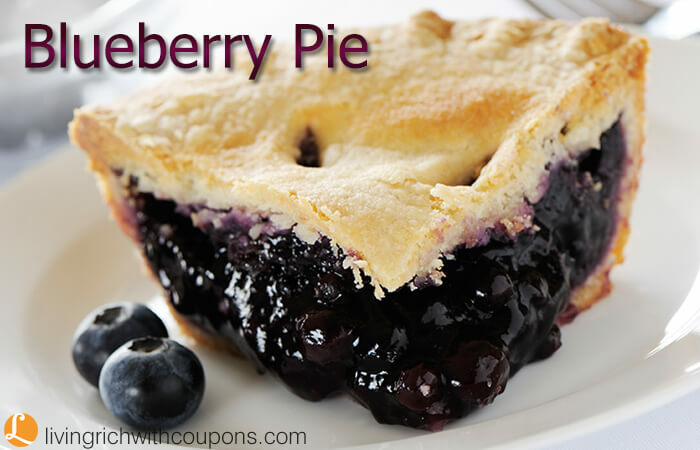 Sprinkle over blueberries. 5. Bake at 375 for 45 to 50 mins. or until cake tester comes out clean. Challenge Butter Just $1.99 at Harris Teeter!